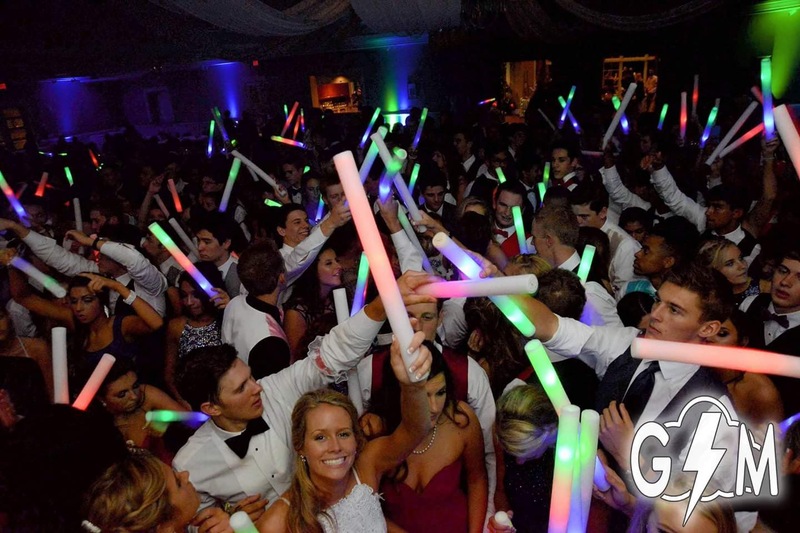 What makes Gathering Storm Media your go to choice for school dances isn’t just our ability to bring the thunder and lightning (sound & lights), but our ability to bridge the gap between what students and administrators want in a dance. We have experienced deejays and emcees on staff that also work as educators in schools full time. They lend their unique perspective so we know what students are listening to, what they expect and what not to do. We’ve seen too many DJ’s not follow through on their commitments, over exaggerate their abilities or over book themselves with multiple shows a weekend. Our goal is simple, to provide a quality dance that your students will be talking about and that you don’t need to worry about. On dance weekend you’ll be our only show and the focus will be on your students. We bring a professional show with a school and student focus. Music: Music selection is at the heart of any dance. 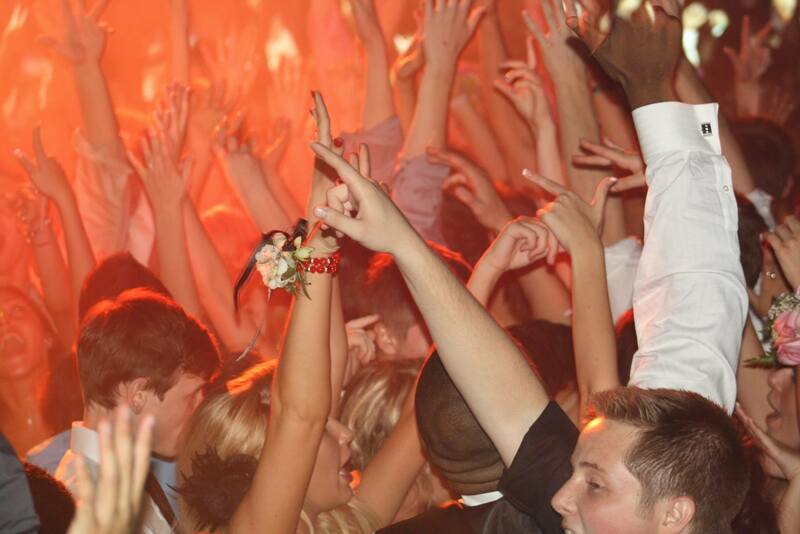 The right music keeps energy levels high and students on the dance floor. The wrong music can clear a dance floor. The Djs at Gathering Storm Media are constantly updating their library with the top radio hits, edited to make sure only the clean version is played for your students. But what separates GSM from other DJ services is that we don’t rely on the radio and music charts to determine our playlists. Music Charts and top 20 countdowns show what is currently popular but not what is gaining popularity. 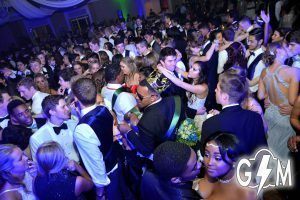 Today’s teens are the trendsetters in music, so we make sure to monitor what they are listening to and have it cued up at the dance. With a Gathering Storm DJ your students will hear the latest remixes that you won’t find on the radio. We play the music you want to hear, not what the radio station and record labels tell us to play. Lighting: Just as important as the music is the lighting your DJ provides. GSM has the lighting package to fit your needs. Fully computer controlled lighting allows us to match our lights to the beat and energy level of the music. 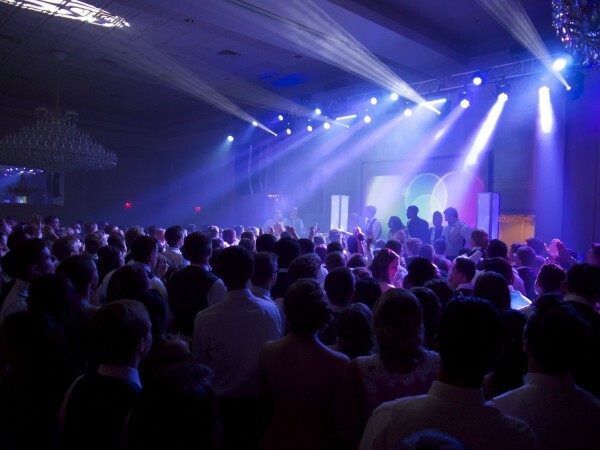 We provide lasers, LED color wash, strobes and moving head lights. 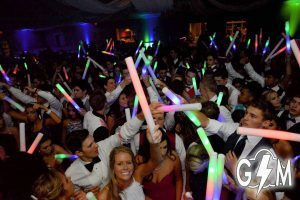 GSM has the ability to lift our lights 20ft into the air, which ensures full coverage of the dance floor. Looking for something a little extra? Consider hanging a lighting truss from the rafters for a true concert like experience. Sound: Here at GSM we pride our self on the quality of our sound. Whether your event is happening in a small reception hall, a grand ball room or a field house we have a sound system that will fill your space. Small venues will see a discrete sound system that blends in with its surroundings. For our largest venues we’ll bring a concert quality line array system, suspended 20ft in the air. We promise you you’ve never heard a DJ who brings the thunder of a big room sound like us. Unlike other services that bring a minimum package or sound for a set range of students, we bring a full concert PA every time. We believe it’s better to have too much and turn it down, rather than to run out of volume. Nothing is worse than not being able to hear your music clearly. Keep in mind that you don’t simply want loud music; you want music that is clear and balanced across the dance floor. Social Media: Want to add an interactive element to your next dance? GSM has the ability to integrate live twitter feeds into your event. Students can see their shout outs displayed on a big screen over looking the dance floor. 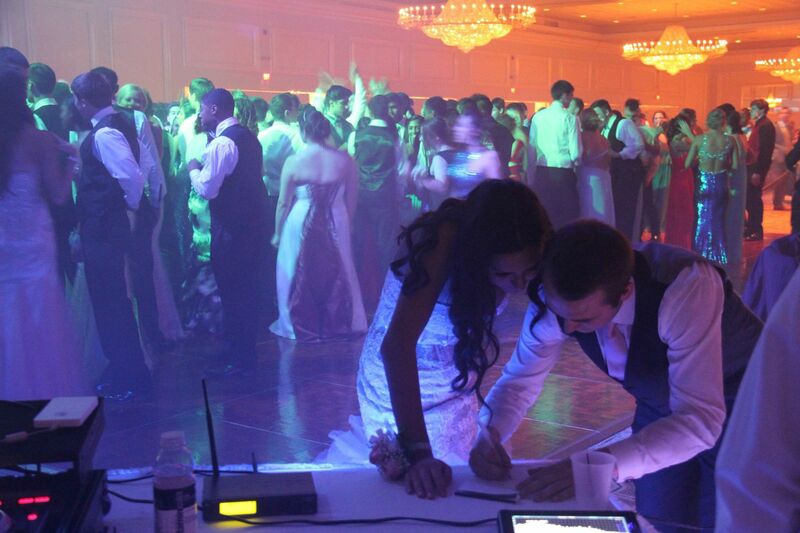 Students can also send requests in real time to the DJ. All tweets are reviewed by GSM before they go live, so you don’t need to worry about inappropriate messages showing up. Song Requests: For schools looking to customize their playlist, we can set up a unique webpage that your students can submit requests to well in advance of the big dance. 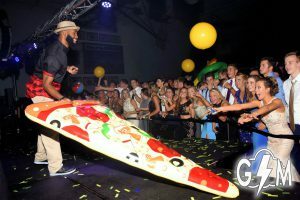 Students can also use social media and a unique #hashtag created just for your event to communicate with the DJ. Promotional Materials: GSM recognizes the importance of the quality promotional materials. You can have an amazing event planned but if there isn’t the right buzz before hand, your attendance can suffer. GSM helps you utilize print, video and social media as an avenue to get your students talking. At your request, GSM will create a unique poster and video trailer that can be hung or shown around your school.